One more week till Mothers’ Day! An early Happy Mothers’ Day wish to all the great moms out there that encourage their children to be the best that they can be as individuals. 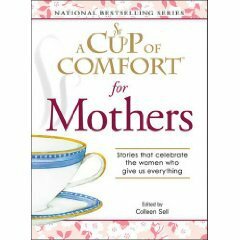 A Cup of Comfort for Mothers is full of touching and bittersweet stories from daughters, sons, and mothers from all across the country. You can read a story about my mom (via link below to Googlebooks) on page 85.